We have partnered with the renowned video game publisher Devolver Digital to bring you the Ultimate Streamer pack bundle on Steam. 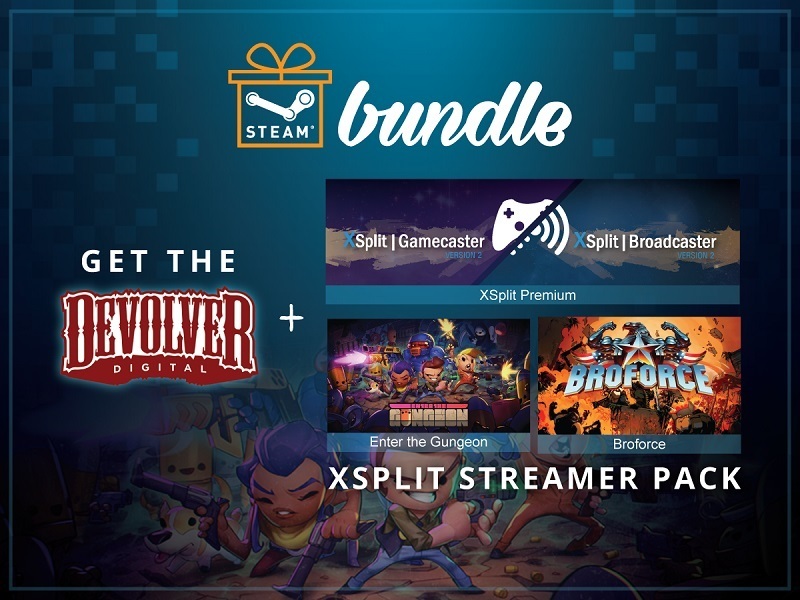 The bundle contains an XSplit Premium along with Broforce and Enter the Gungeon games from Devolver Digital. These two exciting, action-packed games can be streamed of course using XSplit. The Premium license more than allows you to share your gameplay to the world with ease. It is the same XSplit that powers countless live streams and recordings around the world. Save 25% by getting this bundle exclusively from Steam today.